Today I am previewing the North Carolina Tar Heels. The Tar Heels program has been under fire for what feels like an eternity to me (but I am a Tar Heels fan) and rumors continue to swirl around the program. Hopefully there aren’t extremely severe sanctions levied against the program, but that is all up in the air. All we can do is focus on football, and that’s what Larry Fedora and his team plan to do. I’ve been impressed with how Fedora has been handling this team, because Butch Davis was labeled a “player’s coach” but really was letting the inmates run the asylum, and while there were plenty of talented inmates he never coached them up or got the most out of them. He simply got what they were willing to give at any given time, but that was usually enough to win 8 games and be competitive. Fedora doesn’t share that same view, and in his first meetings even with returning starters and seniors he told them he expects them to drop weight, come back in better shape and improve before the season starts. Fedora seems to command respect, and Sylvester Williams noted that even though his Southern Miss team knew he was leaving after the bowl game they still played hard for him and won that game. Williams even said that played a role in him coming back for his second season with the team after transferring in from junior college. Fedora’s attitude appears to be contagious, as multiple players, most notably Williams and offensive guard Travis Bond, are supposedly in much better shape this summer and I am excited to see how that manifests itself on the field. The offense should be good even if it takes a bit to adjust to the new scheme, but Bryn Renner, Giovani Bernard, Erik Highsmith, Jheranie Boyd and Eric Ebron are ready to make plays and the offensive line returns three seniors and a junior, and is one of the most experienced offensive lines in the conference if not the entire country. And with Fedora pushing them to get in better shape and work hard to improve, I have no doubt the offense is going to be good for some big plays. Renner has enough tools to be considered a NFL prospect, but I want to see improved decision making and efficiency from him in his second season as a starter. With the great OL and bountiful weapons around him, he’s in line for a big season. Bryn Renner, QB*- Renner has been competing for the starting job since he was a freshman when he was TJ Yates’ primary back-up, and I was actually hoping he would start that season because I was not a big Yates fan. Regardless, he got his shot last season as a sophomore and had a very good first season. 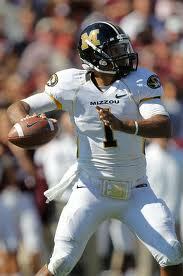 He passed for 3,086 yards, completed 68.3% of his passes and passed for 26 touchdowns and 13 interceptions. He’s got solid size for a quarterback at 6’3”, 215 pounds and has some athleticism to extend the play, but he is a pocket passer first and foremost. He has some arm strength, and he flashes accuracy, but I was a little concerned with some of his decision making last season. I am hoping to see him improve in that department as well as the rest of his game, but he could cut down on his interception total pretty easily by throwing the ball away and not forcing passes into coverage. I think that’s a step he’s capable of taking this year, and with plenty of weapons at disposal and an offensive line that returns three seniors and a junior left tackle in James Hurst I think he has a chance at 3,500+ yards and 30+ touchdowns this season. I’m still not sure he’s more than a mid-round guy as a NFL prospect at this point, but I look forward to seeing him grow over the next two seasons because he definitely has a lot of potential. He’s still pretty new to the position having only played two years of quarterback in high school, so he should improve considerably over the next two seasons at UNC. Giovani Bernard, RB**- Bernard emerged as the top back the Tar Heels had last season, playing in 13 games and starting 11 of them and earning the ACC Rookie Player of the Year award as he rushed for 1,253 yards and 13 touchdowns (5.2 ypc) as well as catching 45 passes for 362 more yards and a touchdown. He has been through a lot in his life whether it was losing his mother at 10 years old, having to watch much of his family attempt to survive the disaster in Haiti, or sustaining season ending injuries as a senior in high school and as a true freshman at North Carolina, Bernard has been through plenty. He finally got on the field last season as a redshirt freshman and he obviously didn’t disappoint, becoming just the 14th UNC running back to rush for over 1,000 yards in the program’s history and the first since 1997. He provided a running game that the Tar Heels haven’t had since I started watching football attentively, and my god was that fun to see. He dealt with a hip injury in the middle of the season, but still managed to be productive and help carry the offense. Bernard is coming off of his worst performance of the season against Missouri in UNC’s bowl game, rushing 13 times for 31 yards and no touchdowns against the Tigers. I’m sure he will be focusing on never letting that happen again, and I feel bad for Elon’s team because he is going to take that pent up frustration out on them in week 1. Bernard has NFL back written all over him thanks to his compact frame (5’10”, 210 pounds), impressive speed, burst, vision and hands out of the backfield. He’s very close to becoming a complete back despite only being a sophomore, and that should really excite Tar Heels fans. Hopefully Rynner and Bernard will both be back for 2013, because they could be an even more special combo than they will be this season. Rumor has it Bernard will even be the team’s punt returner this year thanks to injuries at that spot, so keep an eye on him on offense and special teams. I’ve had my eye on Highsmith for a long time, and it’s been a pleasure to watch him as a Tar Heel over the last four years. Hopefully his senior season is the best of them all. Erik Highsmith, WR- Highsmith is a kid I have been keeping an eye on since he was a freshman, because it was then that he first flashed upside, catching 37 passes for 425 yards and 2 touchdowns that year despite being rated as a three star wide receiver prospect if I remember correctly. The 6’3”, 190 pound receiver has never slowed down, catching 25 balls for 348 yards and 3 touchdowns as a sophomore and grabbing 51 receptions for 726 yards and 5 touchdowns as a junior. Dwight Jones has moved on (though to what, we’re not really sure) and Highsmith should be a breath of fresh air for NFL talent evaluators who saw Jones’ skill set but clearly questioned his dedication and determination which led to him being undrafted. It seems they were right to doubt him, as he quit shortly after signing with the Texans. Still, Highsmith has always been the overachieving type of player and truthfully I never expected to be writing about him as a legitimate NFL prospect when I watched him as a freshman. He’s got the size, long arms and soft hands that NFL teams will love in a receiver, and his work ethic and determination to improve is obvious because of his vast starting experience dating back to his freshman year, as he returns for his senior season with 30 career starts. He projects as more of a possession receiver at the next level, and I’d like to see him continue to improve his route running, but he’s better after the catch than you might expect and should prove to be the superior prospect to his teammate Jones who always got all the attention while at Chapel Hill. Highsmith is an easy kid to root for and I’m excited to see him this season. Jheranie Boyd, WR- Boyd is another senior receiver but he is not nearly as polished or consistent as Highsmith. Boyd is a 6’2”, 190 pound speedster with an estimated 40 time in the 4.4’s who has been primarily a vertical threat for UNC for the past couple of years. Last season he led the team with a 20.9 average yards per catch despite only catching 14 balls for 292 yards and 5 touchdowns. He gives the Tar Heels a quick strike element to the team, slightly reminiscent of what Brandon Tate did for them a few years ago before his devastating injury. Boyd doesn’t have great hands at this point, and he could be a lot better than he currently is, but I’m hoping he can put it all together as a senior and really show what he can do. Teams will love his combination of size, speed and potential, but his inconsistency and lack of production will keep him as a mid-late round prospect until he really steps up his game. Hopefully that happens as a senior, because he has a lot of untapped upside. TJ Thorpe, WR**- TJ Thorpe is another speedster that should provide the Tar Heels with a vertical threat, and despite only being a true sophomore with 2 receptions and 70 yards to his name I had to mention him because of his upside as a receiver as well as his already impressive production as a kick returner. As a true freshman Thorpe returned 36 kick-offs for 960 yards (26.7 avg) and 1 touchdown, and figures to continue to return kicks and hopefully punts as a true sophomore. He’s listed at 6’0”, 190 pounds but also has 4.4 speed and if his 35 yard average per reception last season is any indication he is going to threaten defenses vertically for the Tar Heels if he can stay healthy. Right now, unfortunately, that health is in question as he suffered a “serious” foot injury in early August and it is not known how much time he will miss. Hopefully it’s not much, because he has a lot of upside as a playmaker for the Tar Heels on offense and on special teams. Eric Ebron, TE**- Ebron is another true sophomore that I had to include because he is penciled in as the starting tight end and he could be in for a big season. Ebron is listed at 6’4”, 230 pounds and while he only had 10 receptions last year he made the most of them, totaling 207 yards (20.7 ypc average, 2nd on the team only to Boyd) and 1 touchdown. A reliable tight end is a quarterback’s best friend, and if Ebron is ready to step up (which I really think he is) then he could have a huge season this year. He is said to have 4.5 speed, plenty of strength and that makes me think he’s ready to surpass his freshman totals easily. He should be played in-line and also split out in the slot which will cause a lot of match-up problems for opposing defenses. He’s got all the ability, but as long as he keeps himself on the right path off the field (he missed the Missouri bowl game because his grades weren’t up to par) he should catch a lot of eyes this season for the Tar Heels. Fedora’s offense and staff has a history of sending quality tight end prospects to the NFL, and Ebron is going to be the next in line in my opinion. James Hurst, OT*- Hurst was a top recruit out of high school and chose to come to North Carolina where he made an immediate impact. He started 12 games at left tackle as a true freshman and started 13 more at left tackle as a sophomore. He should have 12 more starts at left tackle by the end of his junior year, and he will have a tough decision about whether or not he should come back for his senior season or enter the draft. 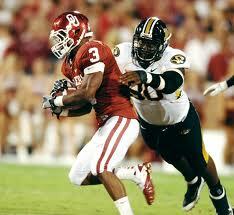 At 6’7”, 310 pounds he has ideal left tackle size, arm length and still has the frame to add strength. He’s athletic for his size and while he isn’t a top 5 pick right now, he has that kind of upside. It will be interesting to see how much he has progressed over the summer, because if he starts matching up with some of the pass rush talent in the ACC (most notably that of Virginia Tech, Miami and Georgia Tech) he could vault himself into 1st round consideration easily. His match-up on October 6th against James Gayle and J.R. Collins of Virginia Tech is one everyone needs to watch. Brennan Williams, OT- Williams plays on the right side and is obviously not the same prospect that Hurst is. He has similar size, being listed at 6’7”, 315 pounds, but isn’t the same athlete. He returns for his senior season with 14 career starts, and figures to continue to make his mark in the run game, as he totaled 30 knock downs last season. The true test for Williams will be how well he can show up in pass protection. Last year was his first full season as a starter, so it’s tough to project him right now. He’s probably in the mid-late round range right now, but could improve that easily with a good season. Jonathan Cooper, OG- Right now Cooper is the best NFL Draft prospect on the team, though Hurst could pass him with a good or great season this year. Cooper has a whopping 35 career starts entering his senior season and all but one of them has been at left guard (one was at Center as a sophomore). The 6’3”, 305 pound guard isn’t the definition of a road grader, but he moves extremely well for an offensive lineman and should be an ideal pulling guard at the next level. I think he might be a great fit for a zone blocking scheme because of his quickness, change of direction speed and ability to get to the second level pretty much effortlessly. I’m not sure what I think of him in a power scheme, and he could stand to get stronger, but he still has a great shot at being a top 40 pick without much improvement as a senior. Travis Bond, OG- Bond is the “other” guard on the Tar Heels who is very much overshadowed by Cooper. Bond is a massive player as he is listed at 6’7”, 345 pounds and was always the antithesis of Cooper and not moving very well. He supposedly ballooned up to 372 pounds after the bowl game against Missouri and Larry Fedora and his new coaching staff simply told him he couldn’t play in this offense at that weight. Bond heard the message loud and clear and through a lot of careful eating, cardio and even some sand pit work with defensive backs Bond dropped about 45 pounds and now weighs under 330, the lowest I’ve seen him listed at since he has been a Tar Heel. He claims he is moving much better and feels lighter on his feet, and has even been running with the second team at right tackle in practice. Bond may be completely under the radar right now, but look out for him at right guard this year now that he is in much better shape and if Williams goes down at right tackle it sounds like Bond would be the player the coaching staff would slide outside. Kareem Martin, DE*- Martin has NFL size at 6’6”, 260 pounds and despite entering his sophomore season with only 3 career starts he outworked Donte Paige-Moss and took his starting job at defensive end, leading to an incredibly disappointing season for Paige-Moss that ended with a poorly thought out criticism of his coaches via Twitter as well as a serious knee injury. Martin enters his junior season with 16 career starts and had 40 tackles, 3 TFL, 4 sacks and 6 pass deflections last season. He has a large frame, long arms and plenty of athleticism. He is still developing as a prospect, but as he improves his technique and hand usage Martin will be getting a LOT of attention from NFL scouts. 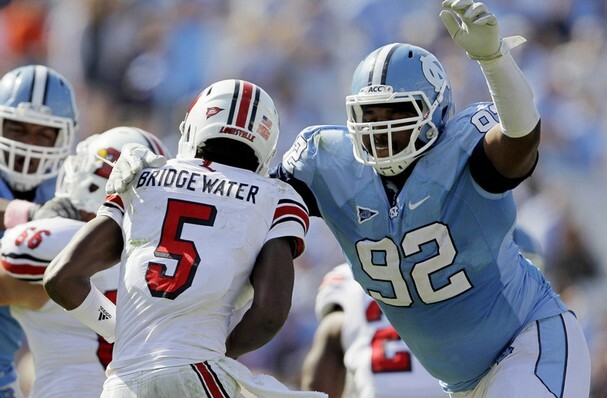 6’6”, 260 pound defensive ends don’t grow on trees, and Martin has top 50 pick upside. Williams had an instant impact after transferring from JUCO last year despite his lack of football experience, but now that he has slimmed down and improved his conditioning he’s ready to live up to his 1st round upside. Sylvester Williams, DT- I’m a big fan of Williams and while he will be playing the 3 technique tackle position again in UNC’s new 4-2-5 defense. That is going to put new pressure on the front four to stop the run, because the 5th defensive back is likely going to be Gene Robinson, a 5’11”, 190 pound in the box type safety. That means Williams is going to have to step up and defend the run better, as he had a problem with this at times last season, particularly against Missouri. He was driven off the ball by double teams in that game and thanks to Tydreke Powell’s problems in that game as well it led to huge running lanes for the Tigers. Williams has all the size, athleticism and potential you could want at 6’3”, 315 pounds and he has the burst and speed to penetrate and make plays in the backfield as evidenced by his 54 tackles, 4.5 TFL, 2.5 sacks, 3 pass break-ups, 1 forced fumble and 1 interception in his first season with the Tar Heels. He is still learning the position and barely played football in high school and transferred from Junior College to the Tar Heels last year and made an immediate impact. He may not be polished and refined even after this season, but his upside is undeniable. He is supposedly down to about 300 pounds this season after Larry Fedora motivated him to lose weight and come into camp in better shape, much like he did with Travis Bond and other Tar Heels. He has said that he feels much lighter, quicker but just as strong. 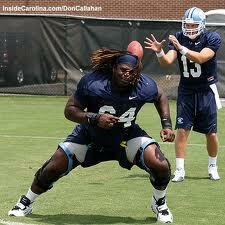 Hopefully that helps him defend the run better, and I think it will help him boost the Tar Heels’ pass rush. He has plenty of strength, has flashed violent hands and with this added burst he could shock people with his season this year. I’m excited to see Williams as a senior because I think he has 1st round upside, and with Fedora and his quality coaching staff pushing him I think he can reach it. Kevin Reddick, MLB- Reddick feels like he has been on the Tar Heels for an eternity to me, and he has 31 career starts entering his senior season with the team. Reddick is going to be one of the key cogs in the new 4-2-5 defense and I am hoping that the 6’3”, 240 pound linebacker won’t play as soft as past senior defensive prospects have on the Tar Heels, most notably Zach Brown who many nicknamed “Pillow Hands” because of how much he seemed to despise contact. Reddick is the leading returning tackler for the Tar Heels, and he had 71 last year as well as 5 TFL, 1 sack and 4 pass break-ups as a junior. He is a good tackler though he attempts more arm tackles and tackles high more than I would like, but hopefully he can improve his tackling technique a bit as a senior. He is expected to be one of the leaders of the defense and I can’t wait to see how he does in this new scheme. Tim Scott, CB**- Scott started 8 games last season as a true freshman corner and certainly did not disappoint. The 5’11”, 180 pound corner with plenty of speed had 43 tackles, 2 TFL, 6 pass break-ups and 1 interception in his first season with the Tar Heels. He may only be a true sophomore, but he has a lot of potential and if the Tar Heels defensive line can apply consistent pressure I think you will see Scott break out this season. Keep an eye on him. Tre Boston, S*- Boston returns for his junior season with 14 career starts and is coming off of a season where he totaled 70 tackles, 1.5 TFL, 2 pass break-ups and 3 interceptions as a sophomore. He’s listed at 6’1”, 190 pounds and while I’m not that familiar with his game I am excited to see how he plays this year. He’s the most experienced starter in the Tar Heel secondary and will be relied upon while the rest of the defense adjusts to the new defense. Casey Barth, K- Barth is a very experienced kicker and is the next in line of talented Barth kickers who have played at North Carolina. His older brother, Connor, is a talented kicker who went undrafted but is now a very reliable kicker on the Tampa Bay Buccaneers. Casey is just as talented in my opinion, and has 63 career field goal attempts. He was 10/15 with a long of 42 as a true freshman, 21/25 with a long of 42 as a sophomore, 19/22 with a long of 49 as a junior, and then missed last season after making 11 extra points and 1 46 yard field goal last season before a groin injury sidelined him for all but 3 games. He’s back for his 5th year with the Tar Heels now, and should provide a very reliable kicking leg for the new coaching staff if he can stay healthy. I’m not sure he will be drafted, but I think he will be one of the better kickers in the conference.